These days, if you don’t own a Blu-ray player, you’re missing out, especially with a variety of classic movies being offered in high definition for the first time ever. But while we could easily fill several pages with suggestions of great films and cool box sets that deserve a spot on any holiday wish list, we’ve picked some of our favorites released over the past 12 months. 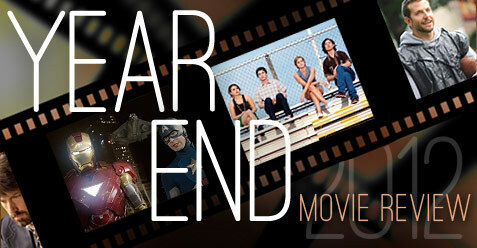 If you can’t find anything worth buying here, then chances are that the person you’re shopping for doesn’t like movies. Christopher Nolan’s Dark Knight trilogy will likely go down as one of the best franchises in movie history, so it’s not too surprising that Warner Bros. has decided to capitalize on the films’ success with a fancy Ultimate Collector’s Edition box set. 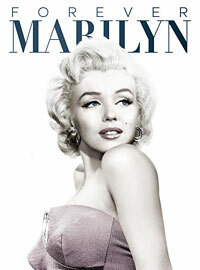 Though most people have probably already purchased the movies individually, this limited edition six-disc set (with only 141,500 copies produced) is geared more towards diehard fans – the kind that would gladly buy all three films again if it meant getting their hands on the exclusive bonus disc (featuring a new retrospective on the series and an interview between Nolan and “Superman” director Richard Donner) and the Happy Meal-sized reproductions of the Batmobile, Batpod and Batwing. The set also includes an introduction letter from Nolan, a glossy photo book, and a series of cool art cards by Mondo artist Jaw Shaw featuring the trilogy’s villains. The only thing it’s missing is your very own Batsuit. It was never going to be an easy job adapting “The Hobbit” for the big screen, especially after the success of the “Lord of the Rings” trilogy, and although that likely played a hand in Peter Jackson’s initial decision to let another director take the reins, at the end of the day, it just wouldn’t have felt right with anyone else behind the camera. Not only does Jackson know the source material inside and out, but in keeping with the same tone and breathtaking visuals from the original trilogy, the movie feels like it’s part of a bigger story. Though it’s not as great as the “Lord of the Rings” films, “An Unexpected Journey” is still a delightfully fun trip back to Middle-earth with a solid lead performance by Martin Freeman. 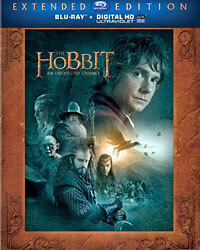 And for those diehard fans who have been patiently awaiting the customary Extended Edition, it’s arrived just in time for the holidays with 13 minutes of additional footage, an audio commentary by Jackson and co-writer Philippa Boyens, and two entire discs of supplemental material clocking in at over 9 hours. If this doesn’t satisfy your “Hobbit” fix, nothing will. Most diehard “Star Trek” fans probably already own all of the films on Blu-ray, but for those that still haven’t gotten around to picking up high-def versions of the U.S.S. Enterprise’s first 10 big screen adventures, the Stardate Collection is the easiest and most cost-effective way to remedy that. 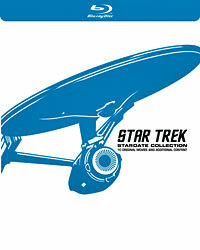 This 12-disc set combines the previously released Original and Next Generation Motion Picture Collections into one massive box of sci-fi goodness, including every feature-length film starring the respective crews of Captain Kirk and Picard, from 1979’s “Star Trek: The Motion Picture” to 2002’s “Star Trek: Nemesis.” Additionally, there’s over 25 hours of bonus material like audio commentaries, featurettes and the 70-minute roundtable “The Captain’s Summit.” While “The Wrath of Khan” remains the only installment to have received a 4k restoration (though likely not for long with the original show’s 50th anniversary just around the corner), the rest of the movies still look and sound better than ever. For the second week in a row, Blu-rays fans have been treated to an impressive selection of new releases, including personal favorites like “Game of Thrones” and “Argo,” and other award-worthy fare to get you in the mood for the upcoming Oscars. We might not see another Blu Tuesday this good for awhile, so enjoy it while you can. Aaron Sorkin’s “The Newsroom” may have been my favorite freshman series of last year, but when it comes to HBO, “Game of Thrones” is (appropriately) still king. 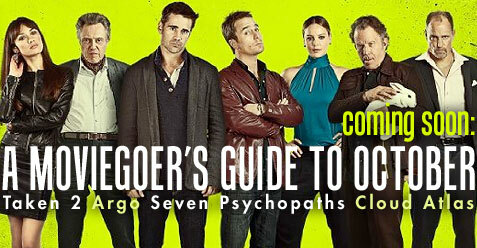 There’s nothing else quite like it on television, and though Season Two wasn’t as good as the first season on an episode-to-episode basis, the payoff was arguably even better, showing the full complexity and richness of the universe that George R.R. Martin created. As anyone who watches the series can attest, there are a lot of moving parts to keep track of, and though several new faces were introduced in the second season, it’s the familiar ones that remain the best reason for tuning in, including Peter Dinklage as Tyrion Lannister, Kit Harrington as Jon Snow, and Maisie Williams as the cute but headstrong Arya Stark. Emilia Clarke’s Daenerys Targaryen is regrettably saddled with a boring subplot this time around, but Season One background players Alfie Allen and Richard Madden are given much more to do, and the show is ultimately better for it. 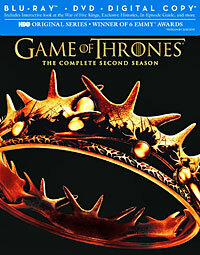 The scope of the series also seems to grow with every season, and as a fan of what David Benioff and D.B. Weiss are doing with Martin’s source material, I can’t wait to see what they come up with next. 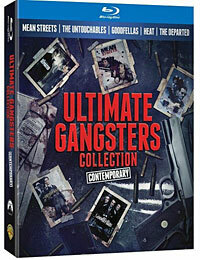 Blu-ray Highlight: Much like last season, there’s a wealth of extras on the five-disc set, including a roundtable discussion with several cast members and a look at shooting the Battle of Blackwater Bay. 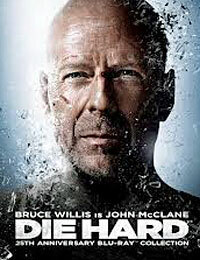 The real highlight, however, is the 12 audio commentaries recorded by various cast and crew. There’s one track for every episode except “The Ghost of Harrenhal,” and Episodes 3, 9 and 10 each have two commentaries a piece. Ben Affleck may have proved that he was more than just a one-hit wonder with “The Town,” but for his next project, the multihyphenate moved away from the comforts of Boston to a much larger stage, delivering his best film in the process. 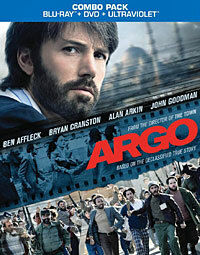 A politically charged thriller that felt eerily timely in the wake of the U.S. embassy attacks in Libya, “Argo” is unique in that it also juggles a lighter Hollywood insider subplot in addition to its main story. By all accounts, it shouldn’t work, but Affleck makes the blending of the contrasting tones seem effortless. The comedy provided by Alan Arkin’s veteran producer and John Goodman’s makeup artist never undercuts the seriousness of the action in Tehran, and yet the strategically placed laughs help break up the tension that mounts over the course of the film. It’s been a while since a movie literally had me on the edge of my seat, but “Argo” is extremely taut and suspenseful, topped off by a fantastic nail-biter ending and one of the year’s best ensembles. The fact that it’s also based on a true story is simply the icing on the cake. If there’s one director whose films I’ll watch no matter what the subject matter, it’s Joe Wright. 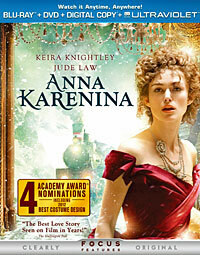 The British-born filmmaker has a knack for making stuffy love stories interesting (see: “Pride and Prejudice” and “Atonement”), but unfortunately, even he falls short with his big screen adaptation of Leo Tolstoy’s “Anna Karenina.” Though the popular Russian novel has been adapted so many times that there really wasn’t a need for another interpretation, Wright at least brings something new to the material with his inspired theatrical setup. It’s like watching an acting troupe perform a play in your living room (complete with intricate, movable sets), and it’s an awe-inspiring piece of filmmaking… at least for the first act or so. By the midway point, Wright has pretty much given up on the theater gimmick in favor of a more traditional storytelling method, and it saps what little energy the movie had going for it. The main love story is insufferable and boring, and although there are some good performances from supporting players like Matthew Macfadyen and Domhnall Gleeson, it’s not enough to hold your interest. Still, it’s better than reading the book. 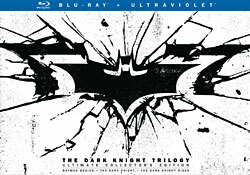 Blu-ray Highlight: There’s a good amount of bonus material on the making of the film – including a look at transforming a single theater space into the various sets and how it was accomplished during production – but listening to director Joe Wright explain the process and the reasoning behind it on the audio commentary is far more interesting.